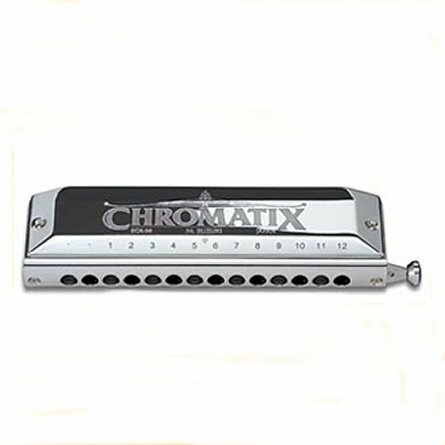 The Suzuki Chromatix SCX-56 harmonica is one of the Suzuki Chromatix Series. The Suzuki SCX-56 is the 14 hole version,it also comes in 12 and 16 hole. 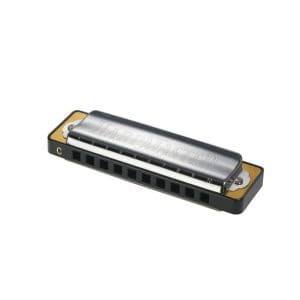 This harmonica is gorgeous to look at, substantial to hold and a pleasure to play. Comfortable and completely air tight, the Suzuki Chromatix Series is specially designed for professionals and hand constructed by skilled workers. 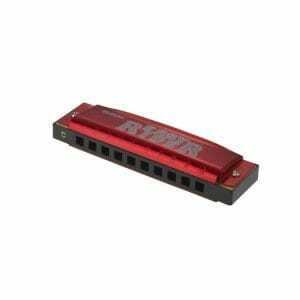 Exquisite attention to detail make these harmonicas one of the most airtight chromatics ever produced by a major harmonica manufacturer. Play one once to hear and feel the difference. 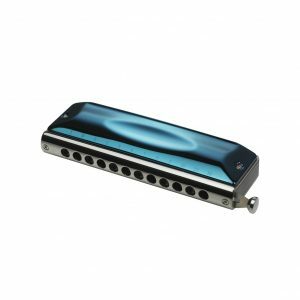 The smooth tone production and quick response will allow you to advance your playing level far ahead of what you thought possible. 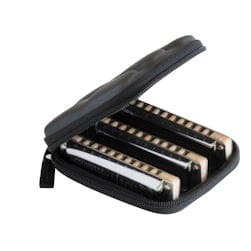 Each Suzuki Chromatix harmonica is packed in its own deluxe soft lined case. Available in key of C only.